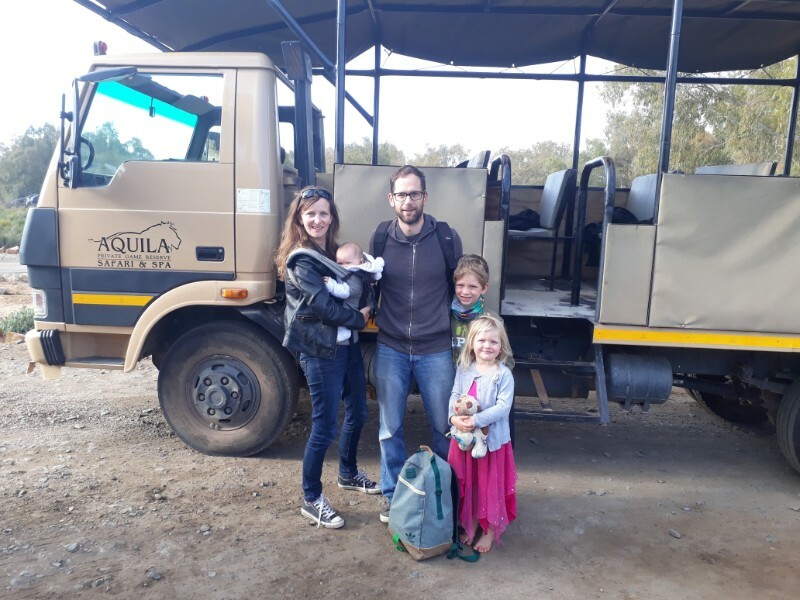 Last year during the June/ July school holidays we went on our first safari holiday as a family and I shared our experience through a series on this blog called #KrugerforKids. We’re heading back to the bush later this week for another family holiday, this time in the Klein Karoo & Garden Route, and to prepare myself, and potentially you too, I thought I would get a bit more practical! 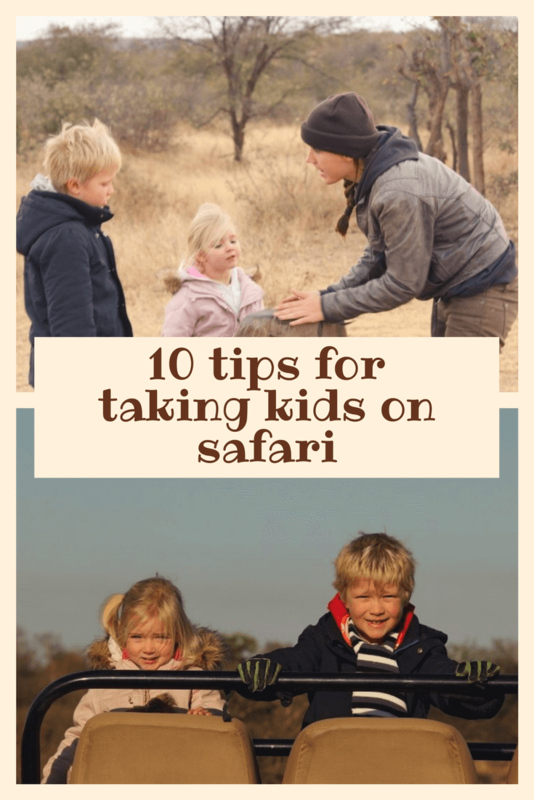 Here are my Top 10 Tips for going on Safari with Kids for those of you feeling inspired to make this type of trip your next family holiday. I highly recommend it! 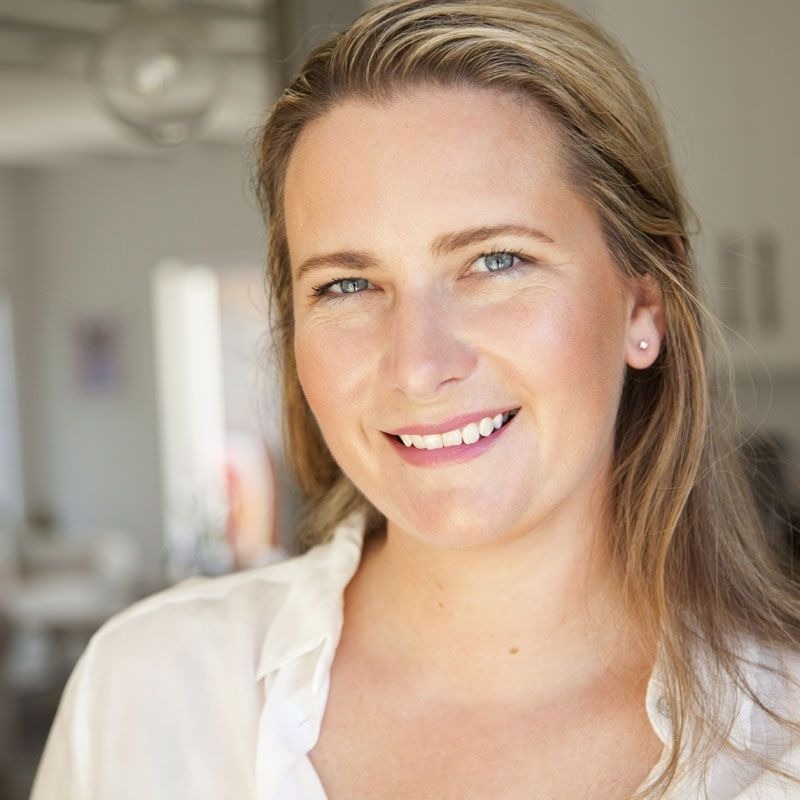 This is probably the most important step in the planning process – picking a place that will be welcoming of your offspring and make their experience fun and memorable. Don’t choose a safari lodge that markets itself primarily to honeymooners or large groups. 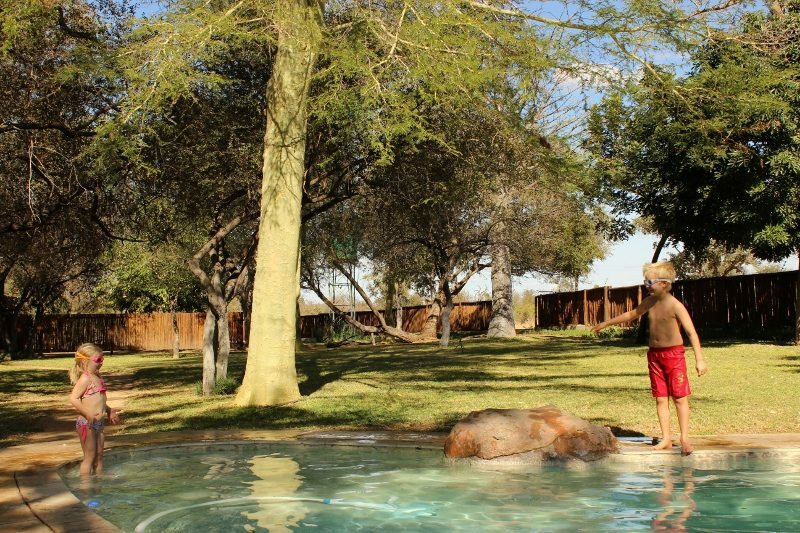 Opt for a small, intimate lodge where the staff are used to dealing with small kids. 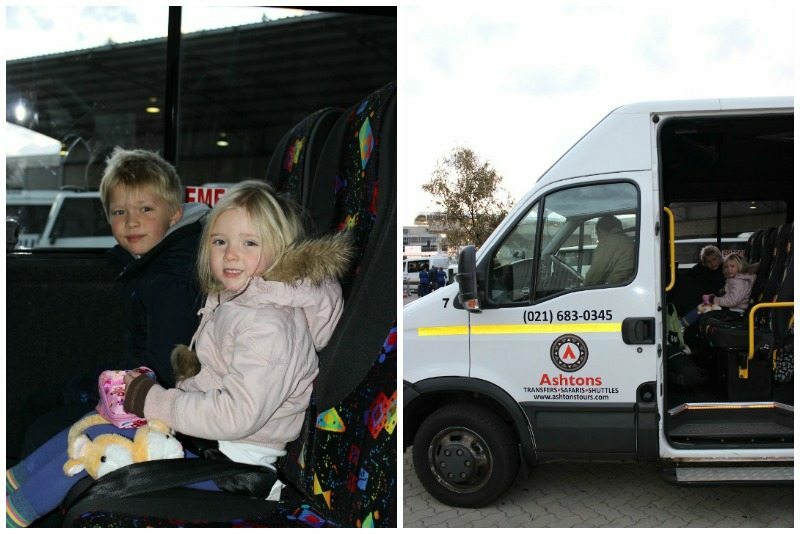 There doesn’t have to be a fully kitted kids room or nannies on call for 24 hour child-minding services… in fact often these types of places are marketed as family-friendly getaways but there’s nothing “family” about shipping your kids off to be cared for but others for the duration of your trip! In my mind a family holiday should be time spent with your family! If you think back to your own childhood, most of your memories are of amazing family fun times that you enjoyed on holidays together. Don’t miss out on making these types of memories for your own kids. 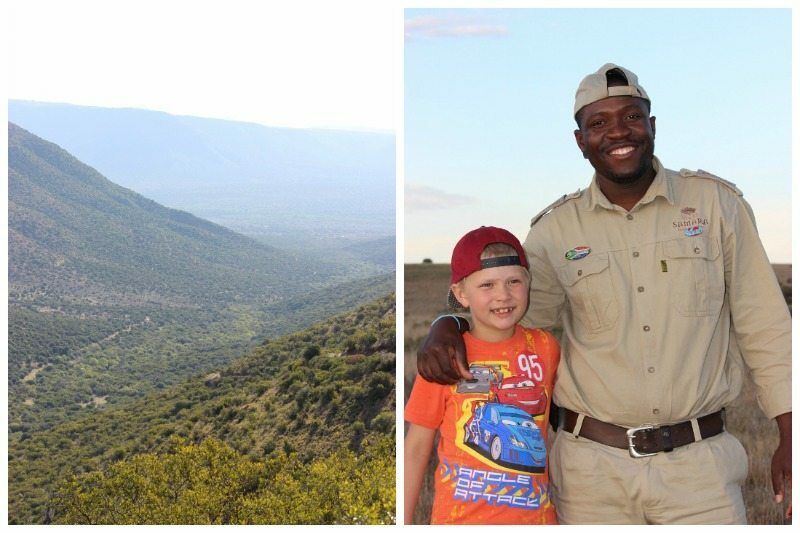 Now, almost a year later, both my kids still talk fondly of the staff at the various safari camps we stayed at in Kruger (and later in the Karoo) and this is purely because the staff made an effort. They payed them special attention – allowing my son prime position in the vehicle on most drives, stopping to point out tracks on the road, playing chess with them back at the lodge. 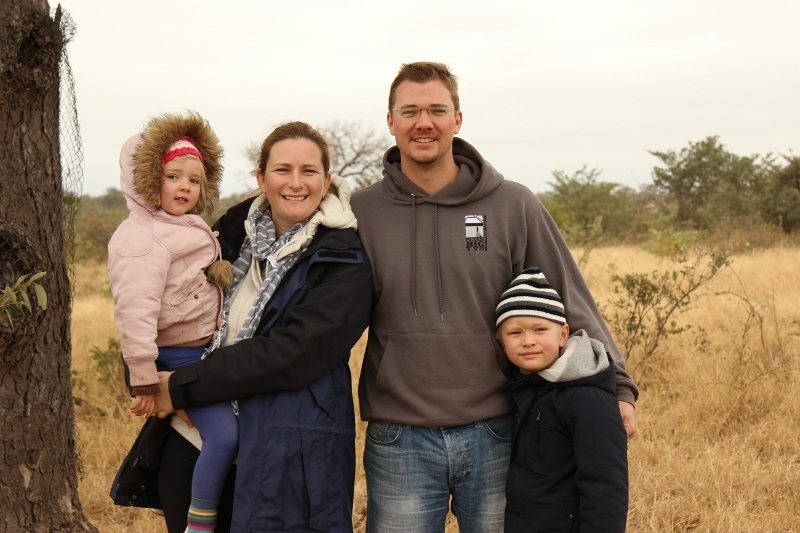 At one of the lodges we visited one of the staff offered to spend some time with my daughter for a few hours so we could enjoy a game drive which she was clearly tired of! 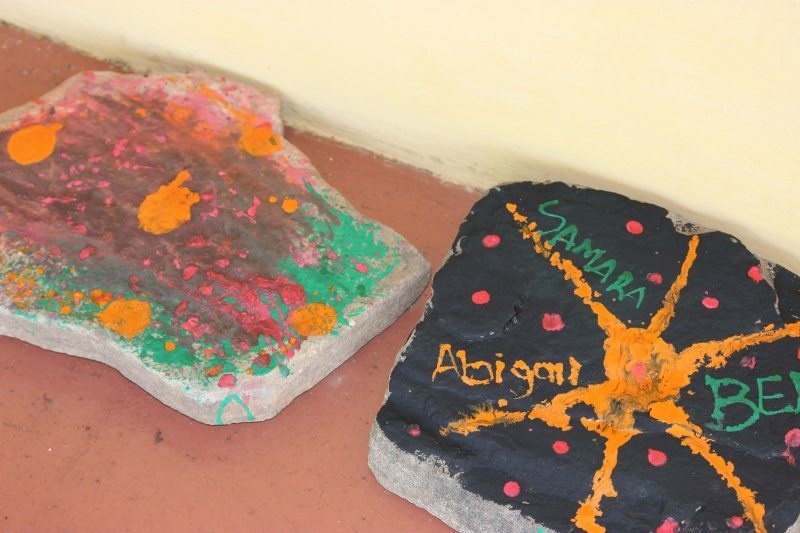 She spent a few hours with her in the kitchen baking cupcakes and then painting rocks on the patio! Enoch, Fafa, Aubrey and Justin, amongst others, are often reffered to in our house, and you know someone made an impression when requests to visit them again are as frequent as these. 2. Pack minimally but be prepared! The weather in the Kruger, especially in June & July which is the most popular safari season, extends from freezing cold in the mornings to quite hot at midday. You’ll need to pack for all seasons in one day! But don’t take too much either. Essentials are a warm jacket, beanie and pair of gloves for those early morning and late night game drives, however you’ll also want to take your swimming costumes too – just in case! And don’t forget the sun tan lotion and mosquito repellant in your toiletry bag! Remember it’s preferable to wear neutral coloured clothes in the bush and to avoid bright colours that will stand out against the subtle colours of the veld as these could frighten away the animals! Camel, khaki, brown, beige and muted greens are good choices. 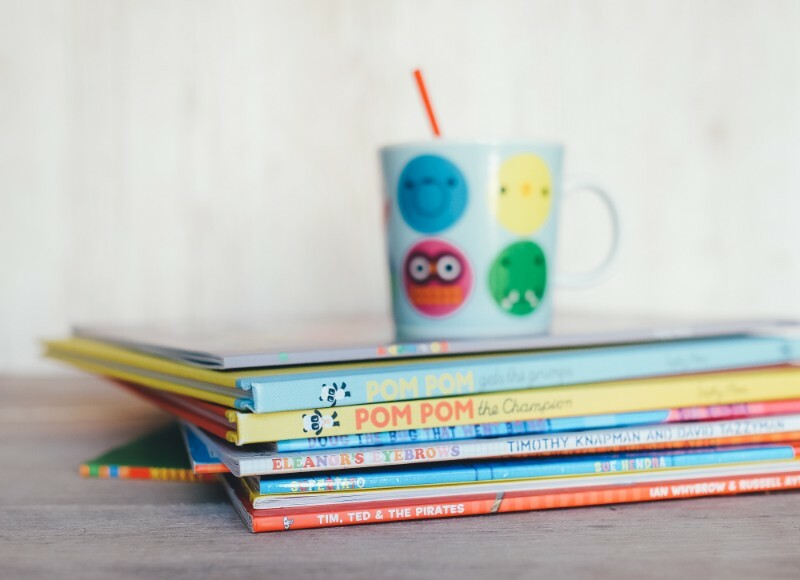 I also took some time to pack them each an extra backpack with various things to keep them entertained – books to read to them, or for them to read themselves (hooray for this new stage!! ), colouring-in things, sudoku, card and travel games like scrabble, an ipod with earphones and a few audio books and cds’s and of course the fail safe 3: portable dvd player, ipad and leappad- which did a rotation between the two of them! Fortunately the driver of our shuttle also planned frequent stops – not at every opportunity – but enough times to empty bladders and buy a few sweet treats. Oh yes…. I almost forgot. I took snacks. A whole bag full. That helps too! 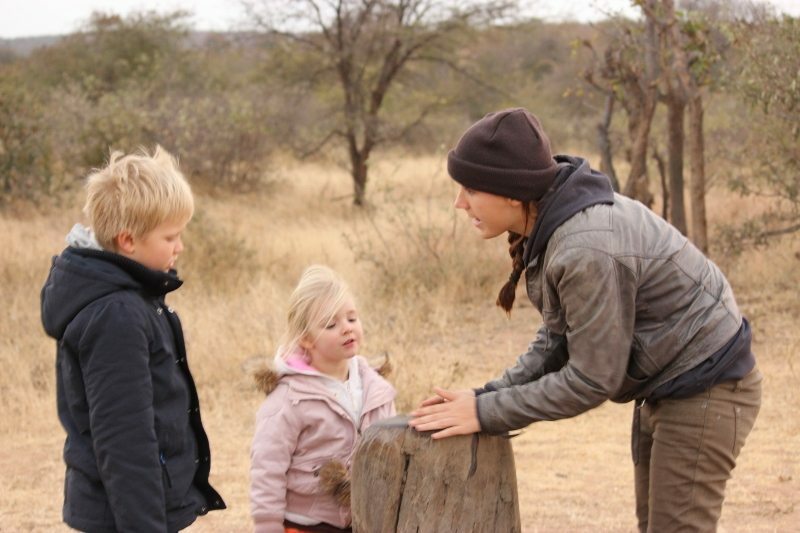 On your first foray out into the bush your kids will be beyond excited to see a lion. But when that doesn’t happen in the first 5 mins, and you’re on a safari vehicle for the next 3 hours with some impatient fellow tourists you’re going to have to get them interested in the journey, not just the medal of a Big 5 animal! 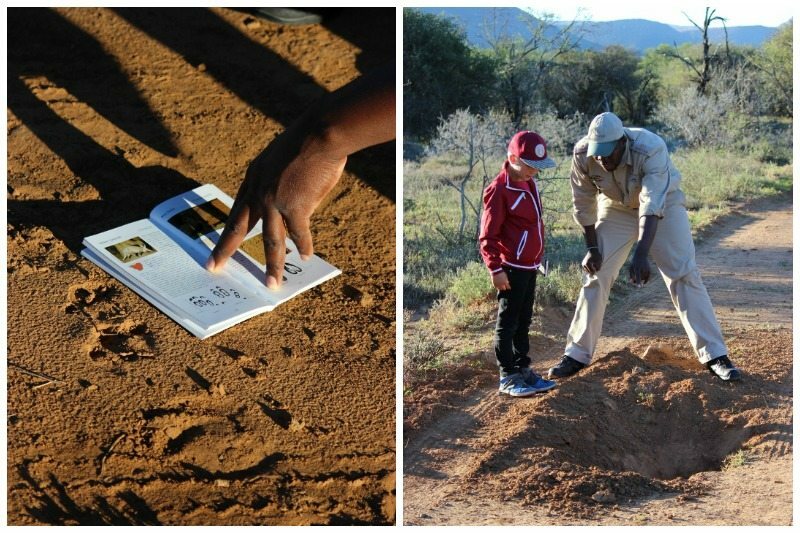 Ask your tracker or ranger to point out some animals tracks for you other signs of animal life and then to show your kids how to go about looking out for these too. Early mornings are perfect for looking for tracks on the dirt roads, before they have been disturbed by vehicle tracks. 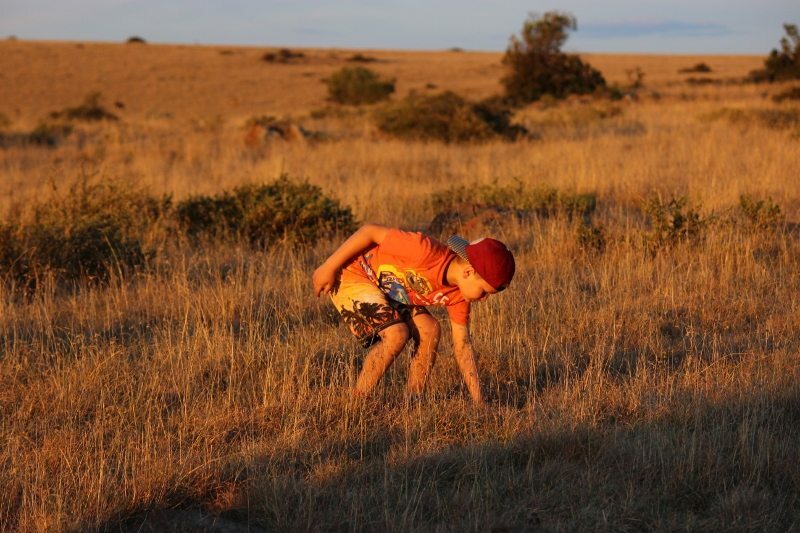 Look out for the tracks left by nocturnal animals – hyaenas, porcupines, genets, honey badgers, leopards and lion. Teach the kids how to spot the birdlife and observe the insects. Take along a wildlife or bird book aimed at kids. These are usually ones with pictures of the animals that help your kids identify what animals they have seen (one with spoor prints is especially great) and learn more about them. We bought a brilliant book by Sasol that lists all the animal, bird and snake species in South Africa. 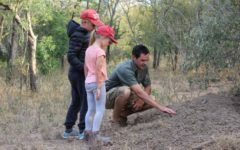 Give the older kids a checklist where they can tick off every animal they spot or ask them to keep a journal or diary about the holiday, making notes of each sighting either on the game drive or back at the lodge. I bought each of mine a book with lines and blank pages so they could choose to draw the animals or write about them – or both. 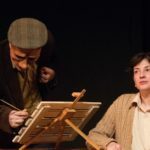 This is especially valuable as a memory keepsake in later years, it will also be lovely to show their grandparents or to take back to school with them on their return. 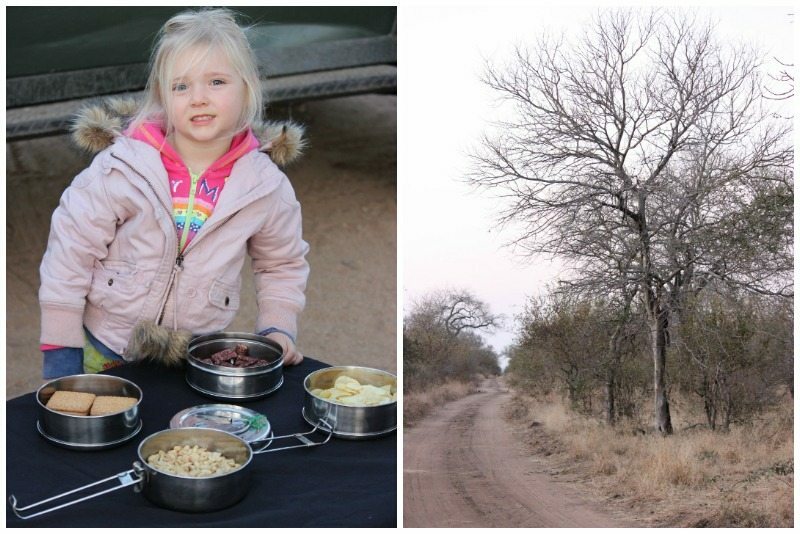 Ensure everyone has a cup of tea and a rusk before leaving on the morning game drive. Although you will stop for tea along the way, breakfast is a long wait! Take a camera (with video capability) and a pair of binoculars for yourself but pack a spare pair of binoculars and a camera or camera phone and let older kids enjoy using these tools and gadgets to document their experience through their own eyes. If you’re into photography get yourself a good zoom lens and don’t forget the extra set of charged batteries! Mornings are not called the ‘golden hours’ of the bush for nothing – the lighting at sunrise is beautiful for photos. 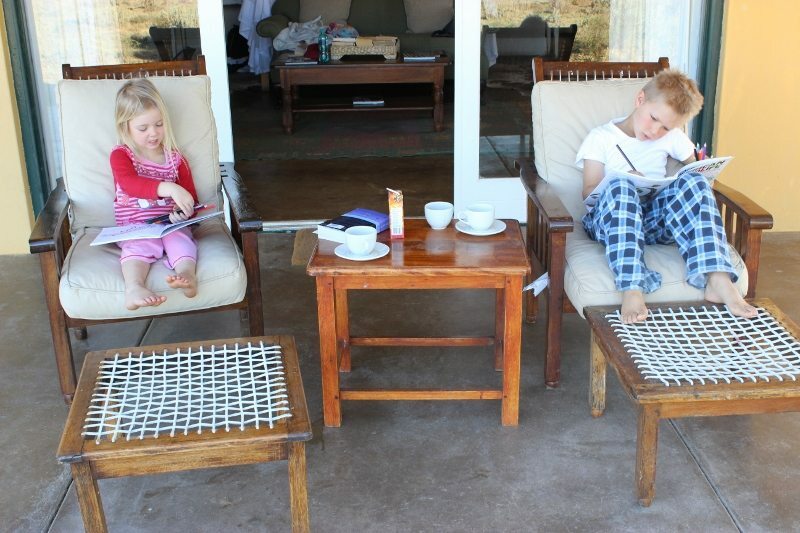 During down time between game drives don’t rely on technology to keep them entertained. 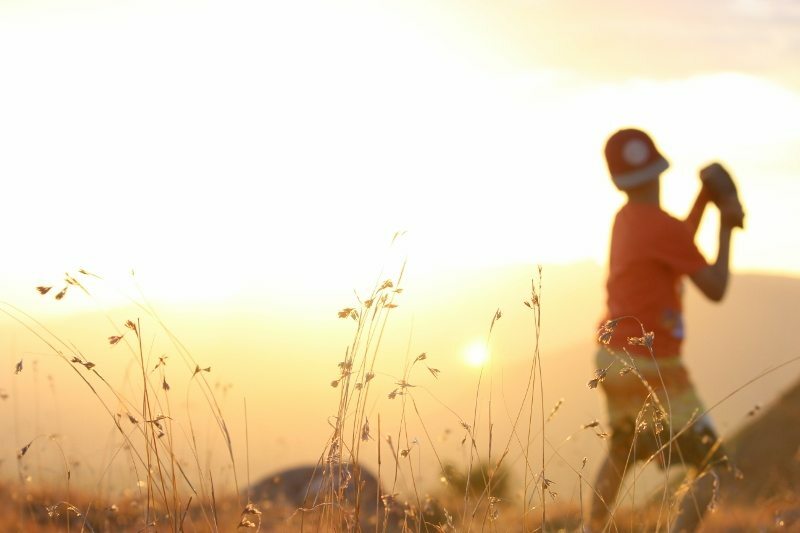 Let them get bored and find ways to play in nature. On safari holidays there is a usual routine of an early morning wake up call, a game drive for a few hours – often leaving before the sun rises – followed by breakfast. 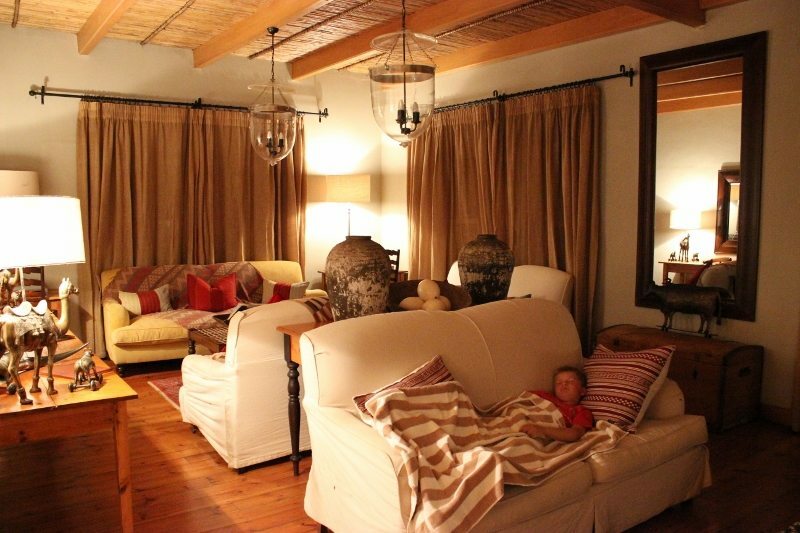 There are then a few hours of chill time before lunch and another game drive that leaves around 3 or 4. Obviously adults would love to use this down time for a nap, kids not so much! They are usually hairing around the place wreaking havoc or lolling around feeling bored – it’s one of the other. BUT don’t be tempted to placate them with the usual home comforts. In fact once you turn off the main road I suggest you pack away the ipad and ipod and don’t let them make another appearance…. yourself included. This is a holiday – and the bush is the perfect place to get away from it all. So do just that! 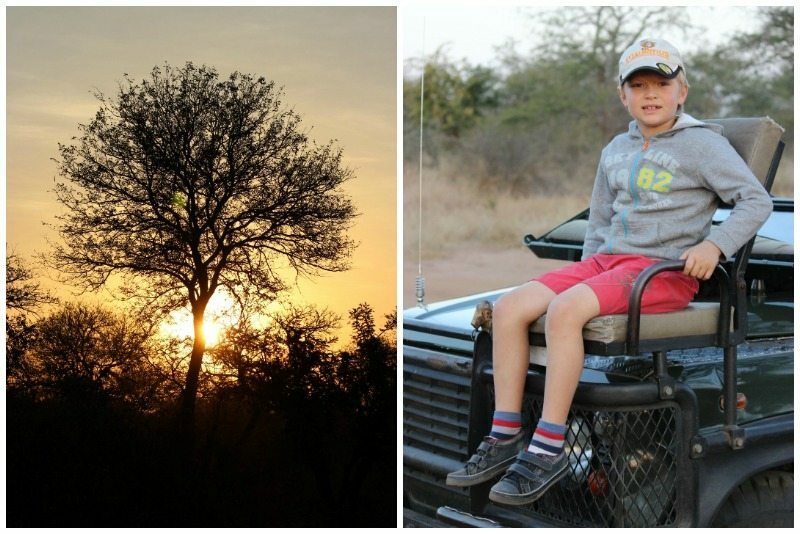 At one of the safari lodges our kids spent this time swimming with one of the rangers, at another they made an elaborate car track in the dirt under the shade of a huge tree and in another the played games or coloured-in or spent time using the safari vehicle as a jungle gym! The time to truly be a kid is so short. Let them be bored for a short while and see what they discover. It won’t take long until they are fully entrenched in some new game, enjoying the spoils of their new playground. And of course if you can get them to nap during the day due to their early start then by all means do… and then catch 40 winks yourself. 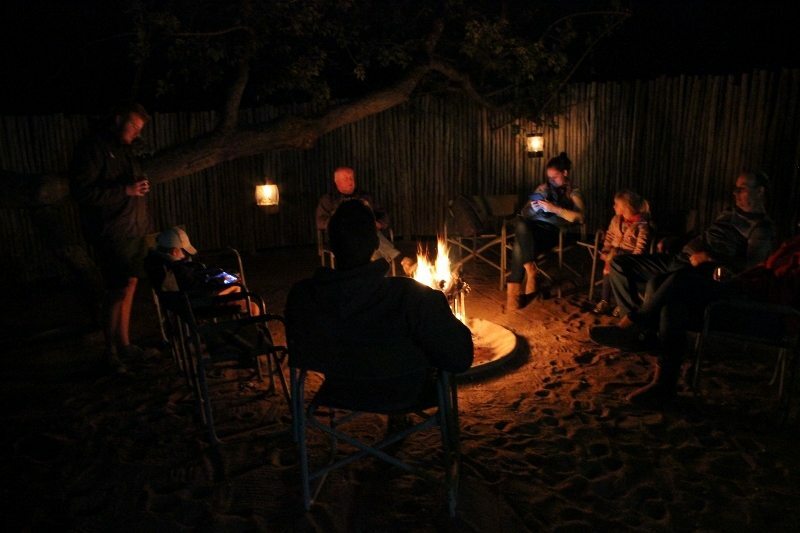 A true safari experience has to include spending time around a fire while sitting under the stars so don’t be too strict on their bedtime. 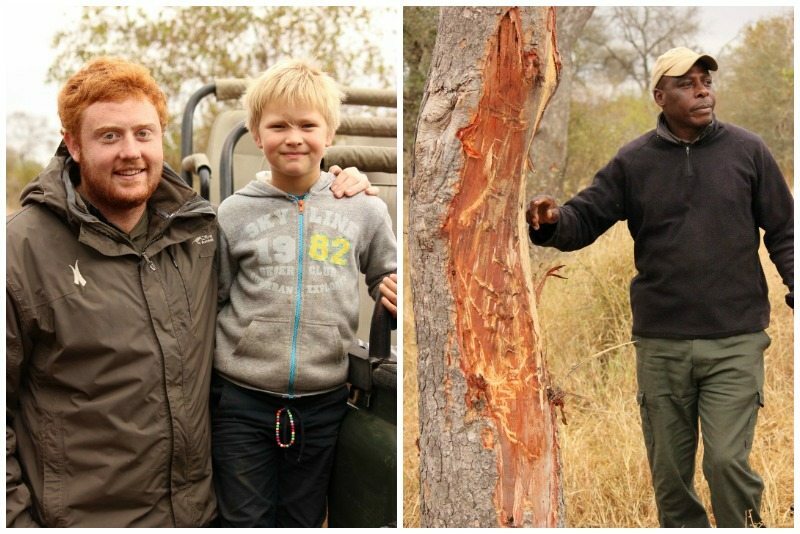 Obviously if they are falling apart you will want to tuck them in asap but if they are able to last a little while longer let them enjoy the bonfire and stargazing that is an essential element of a bush holiday! 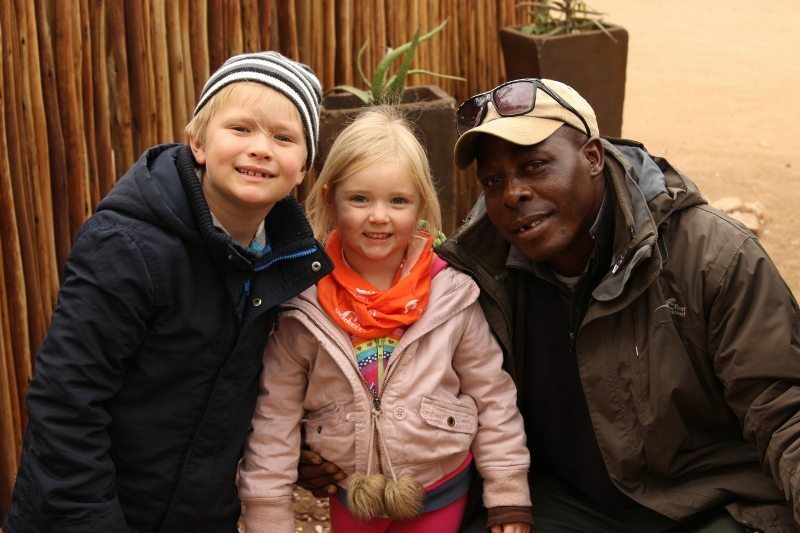 As we said a family holiday is all about making memories… and this experience will certainly be one of them! 10. Keep your eyes on the kids just in case! 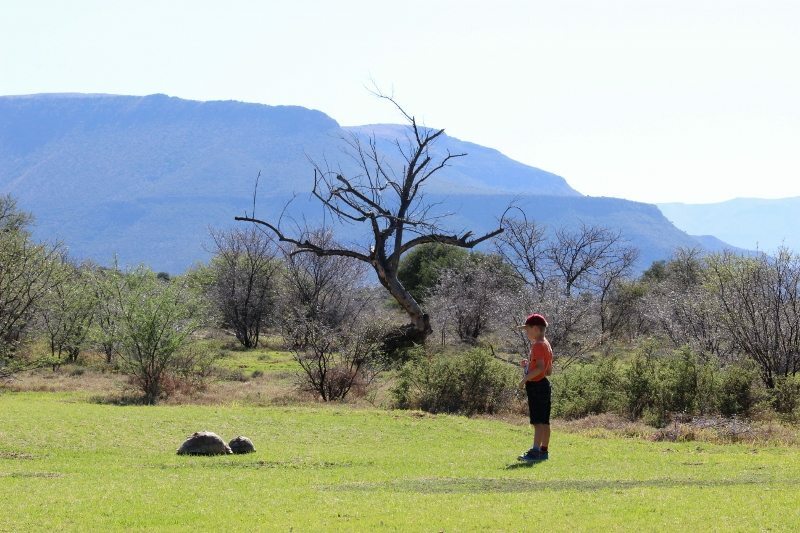 If, like us, you opt to stay in an unfenced camp then make sure you can see your kids at all time. You don’t want them wandering off round the corner only to be confronted by a rhino or pack of wild dogs!! On arrival explain the rules of the camp to them and tell them what the boundaries are – even if there aren’t physical boundaries. The likelihood is that nothing untoward will happen, but rather be safe. The dry winter season from May to October is considered the best time to visit the Kruger National Park for game viewing as well as walking safaris. Vegetation is low and sparse at this time of year, making animals easier to spot and follow, and permanent water sources provide rewarding game viewing. With that said, after the summer rains in November the Kruger transform the bush into a beautiful, thriving green landscape which makes for superb photography. Game viewing is still good at this time of the year as there are many young animals born in this season making it a predator’s paradise! It also happens to be the best time for bird watching. Remember that the Kruger is a malarial area and you are advised to take prophylaxis medication for the duration of your stay or alternatively opt for a low-risk malaria area. 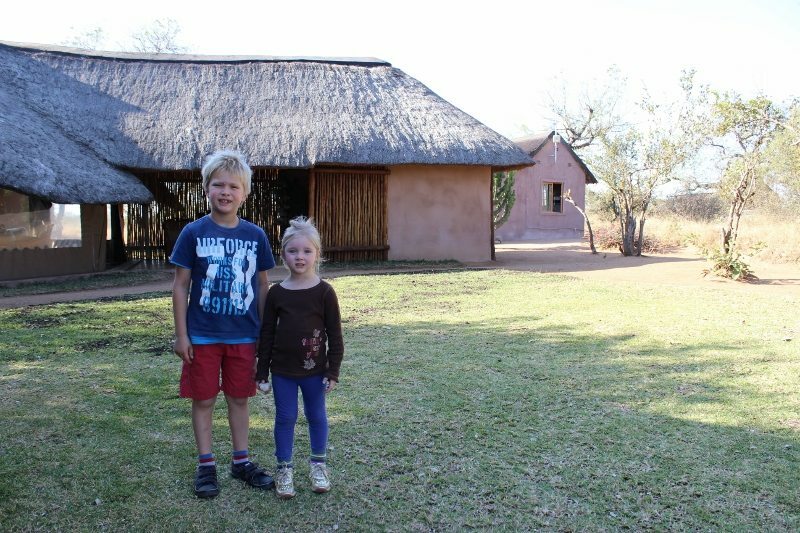 I hope you found my list of Top 10 Tips for a Family Safari useful. 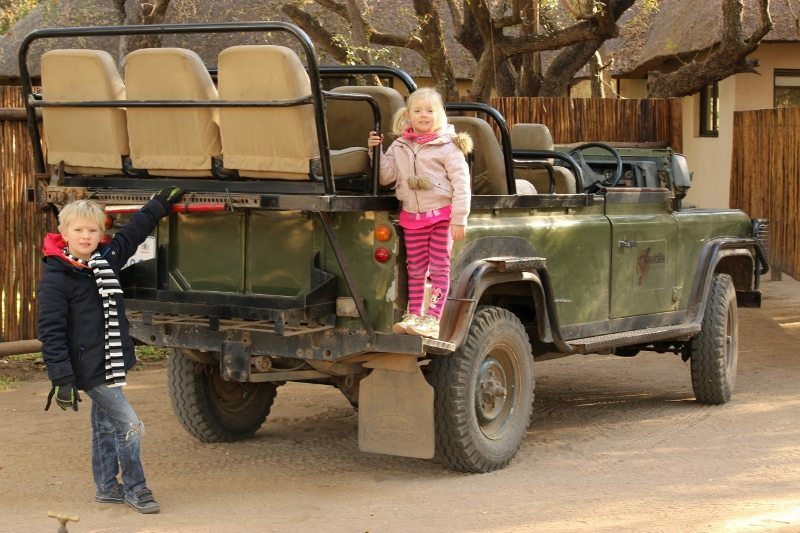 If you’re a regular safari goer please do share your own family-friendly tips in the comments section below. I’d love to hear from you! 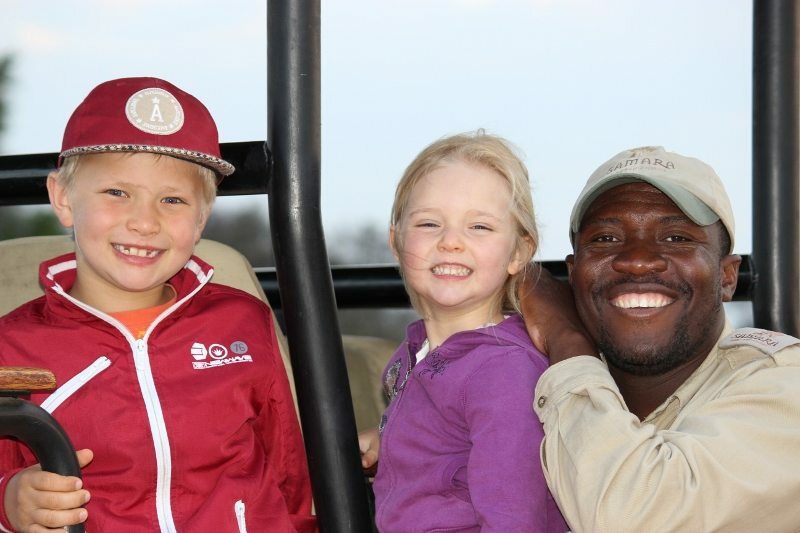 I hope you enjoyed these tips for taking a Safari with Kids. 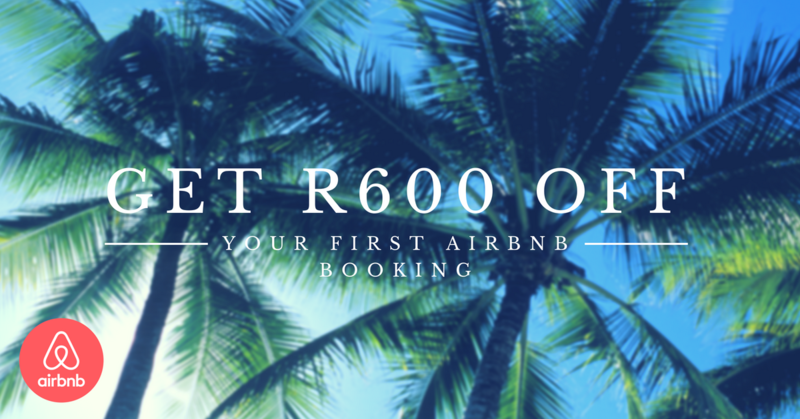 If you are planning a family safari holiday with your kids then be sure to pin this post for easy reference in the future using the image below! 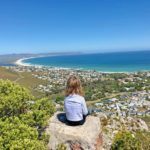 What a great post – my little girl is probably still a little too little, but going to file this one away for the future. We can’t wait to take her to see a real life ellie!! Aaaah taking my kids to see animals in the wild ranks right up there with best moments in MY life… I loved watching their awe and wonder at seeing the real deal animals doing their thing just metres from them. 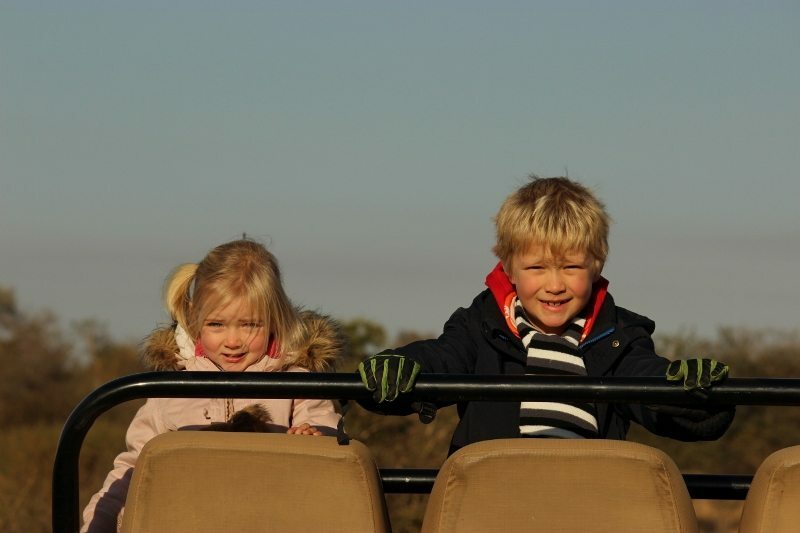 You won’t regret a safari holiday with your kids!